The 50 Buildings Project is using digital scanning to create a virtual tour of 50 local buildings. 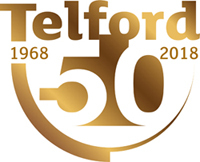 As well as being a new online resource for residents, schools, visitors and community organisations, the tours also help to promote Telford’s heritage, record the condition of buildings and support funding bids. You can view the virtual tours by visiting the 50 Buildings Project website.